One of my dearest friends in the whole world, Barb @ Grits and Glamour is having a party this coming Thursday the 22nd. The theme is to keep it simple. It can be anyting, a craft, recipe, design or anything you can dream up as long as it is simple with basic ingredients. Something anyone could copy, but that will inspire. I am working on some Fall decor for the house and need a small arrangement, but it needs to be simple, no flowers, so I dug through all my stuff and I have a bunch of little odds and ends, so I am going to see what I can come up with. This is the container I want to use because the color is perfect . 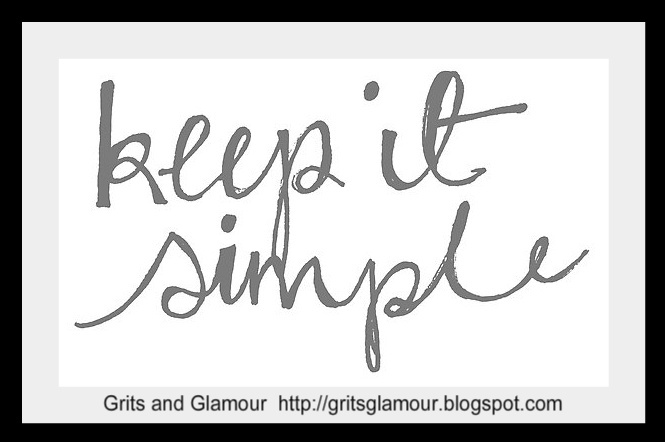 Ok, so be sure to put the Keep It Simple party on your calendar and let's all join in. I am always interested in something that I can make out of basic things or odds and ends from around the house. Thursday Sept. 22. Get busy and let's see what you come up with. She will have the party up on Wed. evening, so be ready to link up. This should be tons of fun. Sounds like a fun party! I'll be sure to check it out. Thanks for the heads up Marty! I'll be sure to check it out. Sounds fun Marty! I may have something I am working on now. Hope you are feeling better. How sweet of you to invite all of us!!! Sounds like an interesting party! I'll see what I can come up with! Thanks for the invitation! Hope this comment finds you feeling 100%. I ;love simple but I can never seem to keep things simple- especially my decor ( but do for client work). Sounds like fun. I can't wait to see what you create. Your home is always so lovely. Oh wonderful! I've been loving the simple projects in recent weeks, Marty! I'll be there, I love simple, it's sounds special. Can't wait to see what you come up with. 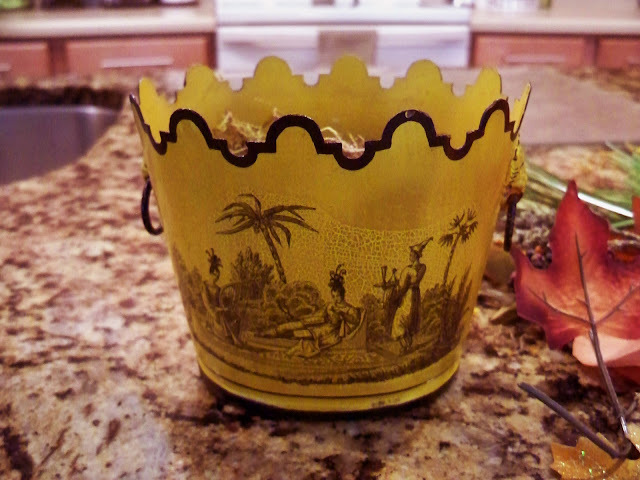 Also love that cute little rooster cache pot you found at a garage sale. Now you be careful, pneumonia can't be taken lightly. Get well soon. I can't wait to see what you come up with. I love your container! 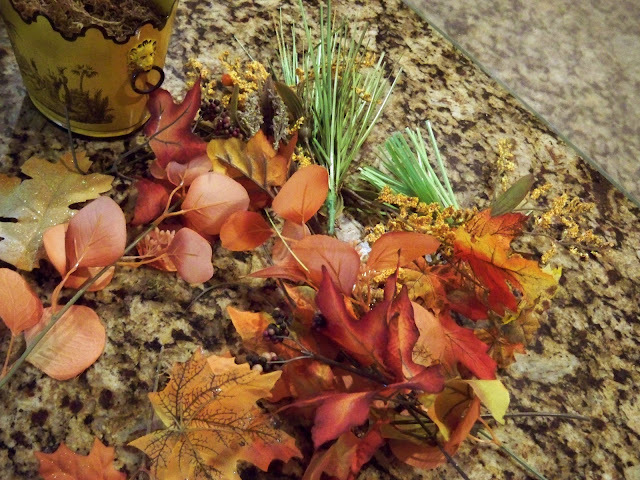 I should be done with my counters tomorrow (keeping my fingers crossed), and I bought a bunch of fall flowers a while ago to redo a wall wreath/swag thingie. Maybe I'll work on that for the party. I hope you are all better now. Hugs! Sounds like a fun party, and right up my alley...simple:) Thanks Marty! Sound like fun, Marty! Thank you for the invite! I hope you are much better now! I love your container! Can't wait to see what you do with that cute container! !